Herbert Oye, DO, FACOS, is a Board Certified Endovascular and Vascular Surgeon, specializing in invasive and non-invasive treatment of vascular diseases. 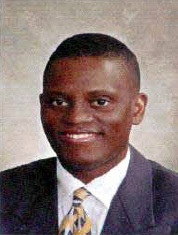 Dr. Oye received his medical degree at the University of North Texas Health Science Center. His General Surgery residence was performed at Wyckoff Heights Medical Center in Brooklyn, NY, an affiliate of Albert Einstein Medical Center. Dr. Oye completed his fellowship training in advanced vascular and endovascular surgery at the Arizona Heart Institute in Phoenix, Arizona. I want to inform you that I am now accepting patients at my practice, the West Virginia Vascular Institute, located next to Beckley Appalachian Regional Hospital in the Southern West Virginia Clinic, at 250 Stanaford Road, Suite 203, Beckley, West Virginia 25801, and our phone number is 304-255-3601.
surgery and advanced wound care, which includes skin tissue disorders. 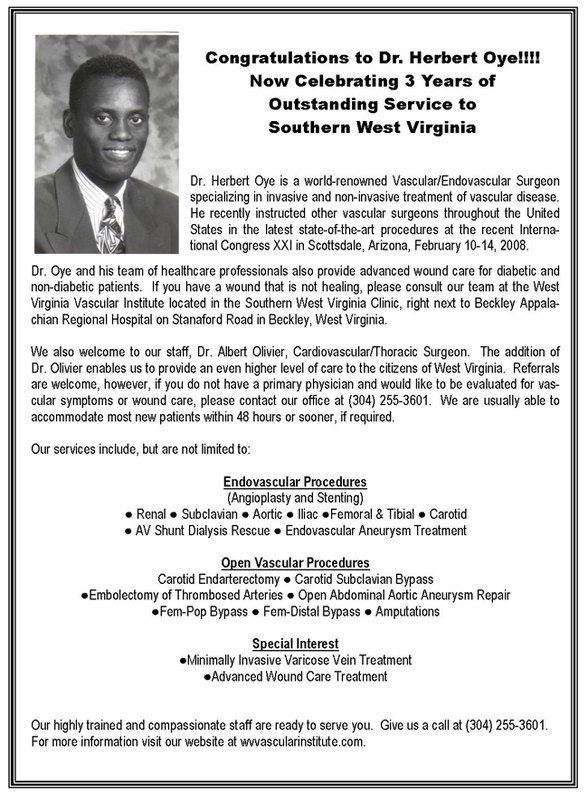 West Virginia Vascular Institute is proud to announce the arrival of Dr. Ovie Appresai to our practice. Dr. Appresai is a credited board certified Bariatric Surgeon, specializing in Lap Band Surgery, with fellowship training at the University of South Florida. Click Here for more information about Dr. Oye.